What is the aim of sports and games? Is it merely to win medals in Olympics or Asian Games? This article examines this question in the light of a deeper vision. In our contemporary world the domain of sports as a whole has become the arena of entertainment, hyper- competition and commerce. The true and deeper purpose of sports and its role in the development of the individual and the nation is lost in the hectic pace, glamour, crowd, money, applause and the award. This article is an attempt to rediscover the higher purpose of sports in the light of Sri Aurobindo and The Mother’s vision. In our present world sports have become serious business and not a play. There are schools of philosophy in India which regards the whole world as a play, Lila of God. Sri Aurobindo agrees but adds that it is a play with a purpose; it is a play moving towards a spiritual destiny. Sports can help in bring these aspects or attitudes of the divine creative movement, play and purpose, into a human act. When children are given some understanding of this principle tell them “remember this principle and try to bring it into your game”, it can elevate the player and the game as a whole to a higher level of consciousness. But for this to happen, sports and games should never become too serious and retain the spirit of playfulness but at the same time, the player should know the higher purpose behind the play. Physical health and fitness is a recognized aim of sports. But what is not equally recognized is that when played with the right attitude and a higher aim, sports can develop moral and psychological qualities in the player. When this becomes a part of the education and culture of the nation, it can build those qualities in the psyche and life of the nation as a whole. It is now understood and recognized that our human organism is “psycho-somatic” which means our body and mind act upon each other and have a mutual impact. Not only our mental condition affects our body, our bodily condition also affects our mind. This is because our mind pervades our whole being. There is a mental element in our body, which is called in integral psychology as the physical Mind. This physical mind is the source of our external character. So, whatever qualities we can develop in our body in and through activities like sports and games have a corresponding impact on the character of our outer being. Let us now briefly examine what are the main qualities which can be developed through sports. Games like football or basketball can develop qualities like energetic action, speed of movement, quick decision-making and coordination, teamwork. Orchestrated and musical drills can develop the ability for harmonious action and instinct for harmonious cooperation, coordination and attunement with others. The emerging corporate world values teamwork as a primary factor for enhancing productivity, efficiency and creativity of people. In schools, team-sports and music–driven group drills can provide the first experience and taste for teamwork for children and infusing this spirit of working together in their body and mind. Gentler sports like Cricket, Tennis, and Badminton can awaken finer and subtler qualities like sharpness of the vision or observation, flexibility, quick reflexes, measured or controlled force in action. All Sport and games can be a field of training and education for many other traits of character like obedience to and learning from a wiser and more experienced player, mentor or leader, equanimity to success and defeat and also acceptance of the decision of the empire and referee. There is one more important faculty which can be developed through sports; it is the instinctive intelligence inherent in the body which can know spontaneously what is good for it or what to do in a situation without the guidance or intervention of the mind. The key to the awakening of this faculty lies in consciousness, infusing more and more consciousness into the body. Here comes the need for a more conscious physical education. Sports and games are only a part of this higher kind of physical education, which strives to bring increasing consciousness into our entire physical organism and every activity of our body. In the present condition of the sports all these qualities which we have discussed so far are developed unconsciously in those who have an innate talent or interest in any of these games and in others nothing much happens. But for a more concrete and widespread awakening, the entire process of physical education and training through sports and games have to become fully conscious and systematic with a clear understanding of its higher purpose of character building. Take for example a child who is vitally weak, timid, and lacking in energy. A knowledgeable physical education teacher can motivate him to play football, explaining to him patiently how it can help him to overcome his weakness and also how to play consciously with this purpose. But to build this kind of sports culture on a national scale we have to create institutions for teaching, study and research based on this higher purpose and values of sports. The most important part of this task is to create a new cadre of physical education instructors, trained in this higher culture of sports. This higher vision of sports may appear to many as little too idealistic. But is it not also a more practical aim than winning medals in Olympics or Asian games? For example what a few more gold or silver medals can do for India accept giving a little boost to our national ego? In India, we constantly lament that in spite of our huge population and so much investment in sports we are not able to produce any gold medalist. But instead of aiming at medals, if we can make a conscious effort to create a character building physical education on the lines we have discussed in this article and incorporate it into our national system of education it can bring much more beneficial results to our national health and development. 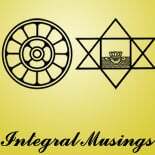 This entry was posted on August 24, 2018 by integralmusings in Society & Culture.